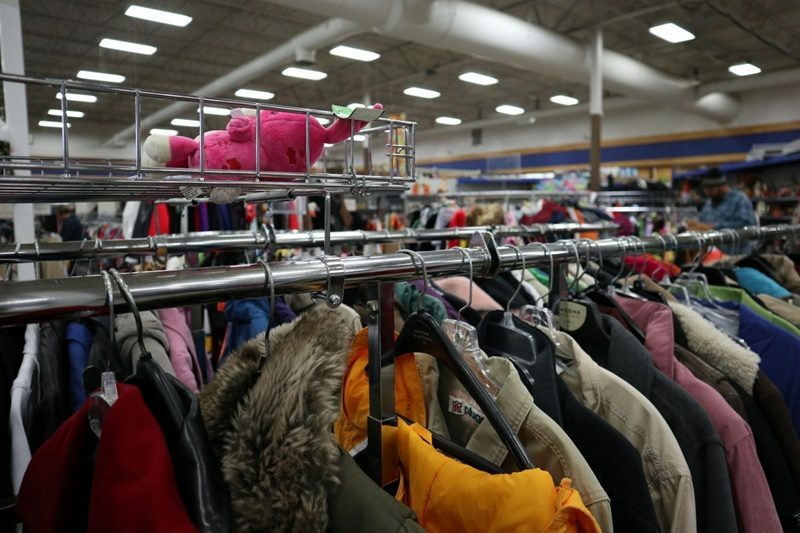 Did you know the best thrift stores are in Wisconsin? 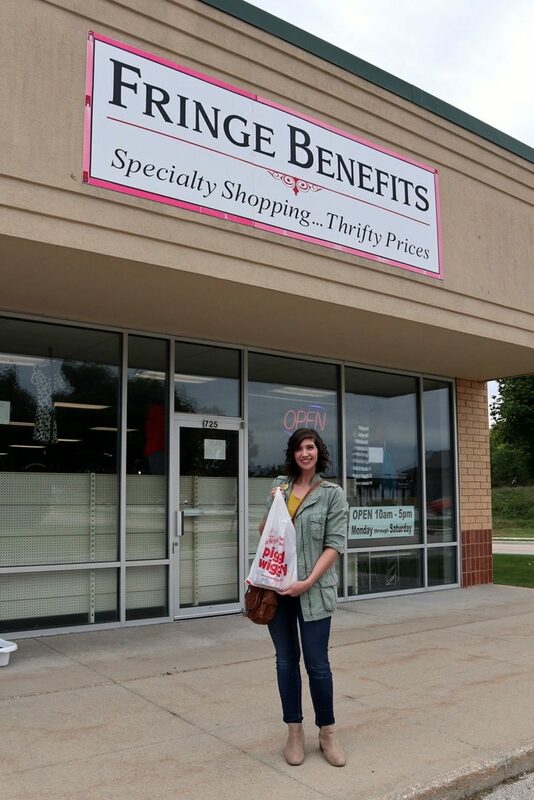 I’ve shopped all over the US but my favorite thrift stores are those close to home. 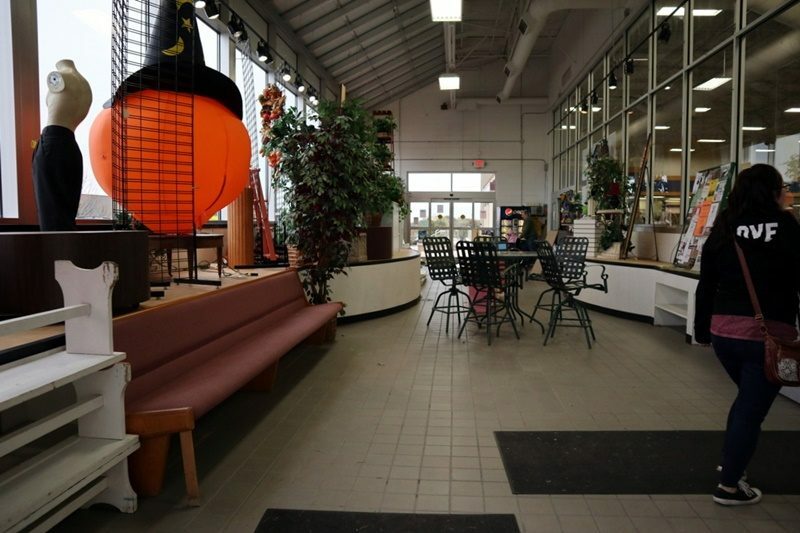 This post is just the start of a series I hope to continue on here of my favorite thrifting spots. Please enjoy a few of my picks from the dairy state! Pros: Has a loyalty program. Participates in daily colored tag specials. Very affordable. 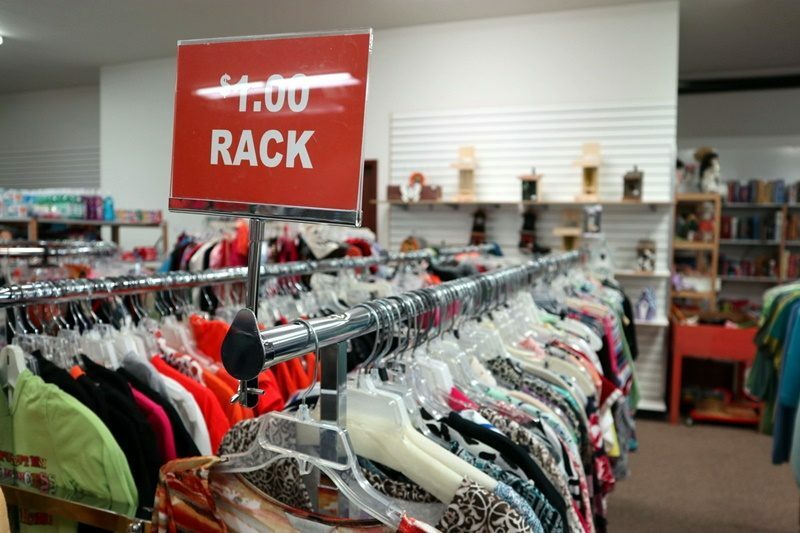 Clothing is priced per item. What I bought recently: Vinyl record albums for .99 cents each and a pack of stickers for .50 cents. My best score ever: One time I paid .99 cents for a Milli Vanilli CD (as seen here) and used my loyalty card which rewarded me with a $5 coupon good towards any purchase. 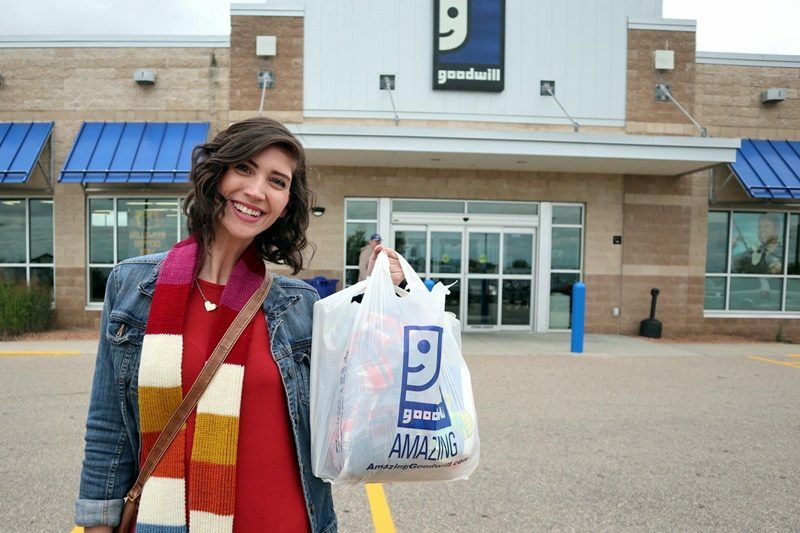 I later used that coupon to get a coat for practically free! 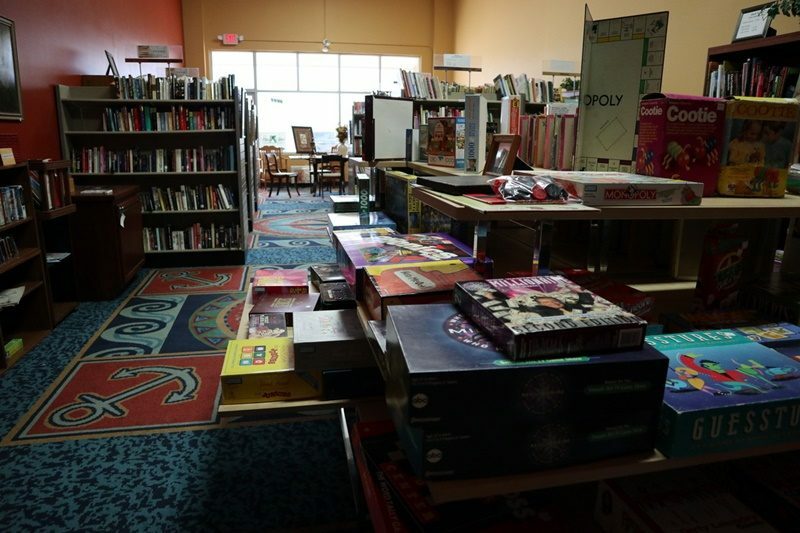 Ideal for thrifters looking for..: I honestly feel like they have a strong selection of media (movies, music, books). Pros: Very affordable and fair priced. Frequently runs sales. Participates in daily colored tag specials. 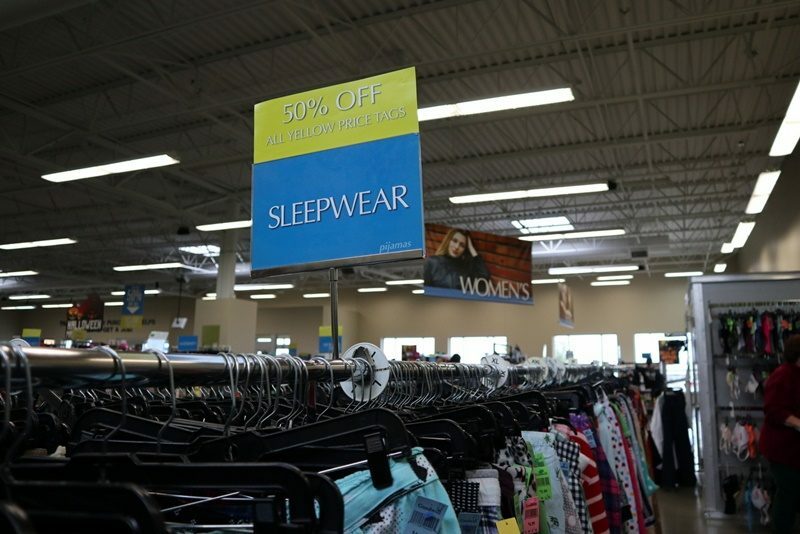 Has clearance rack for clothes. Right next door to a Goodwill! Cons: Parking lot is difficult to access. 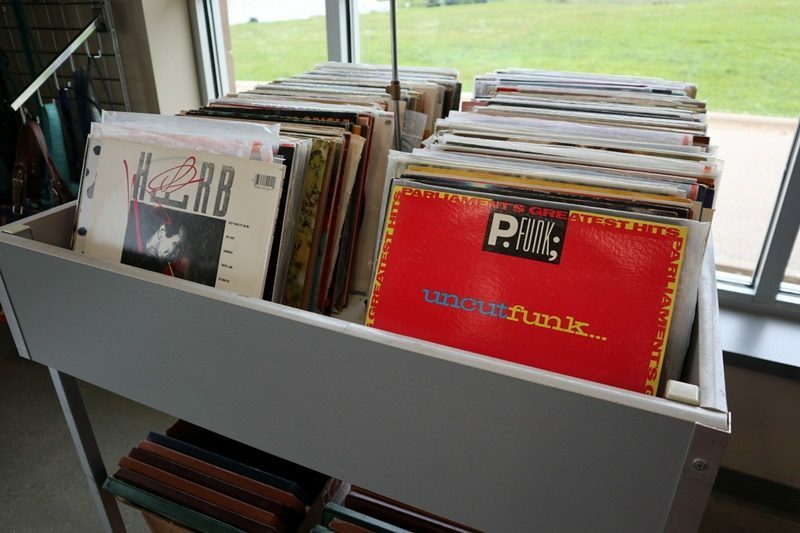 Items are categorized but not laid out well which can be confusing. Has set prices for each clothing category which I’m personally not a fan of. What I bought recently: A vintage t-shirt off the clearance rack for .50 cents and a pack of Lisa Frank goodies for .29 cents. My best score ever: A $50 pair of jeans I had been lusting after online for only for $4 with new tags! 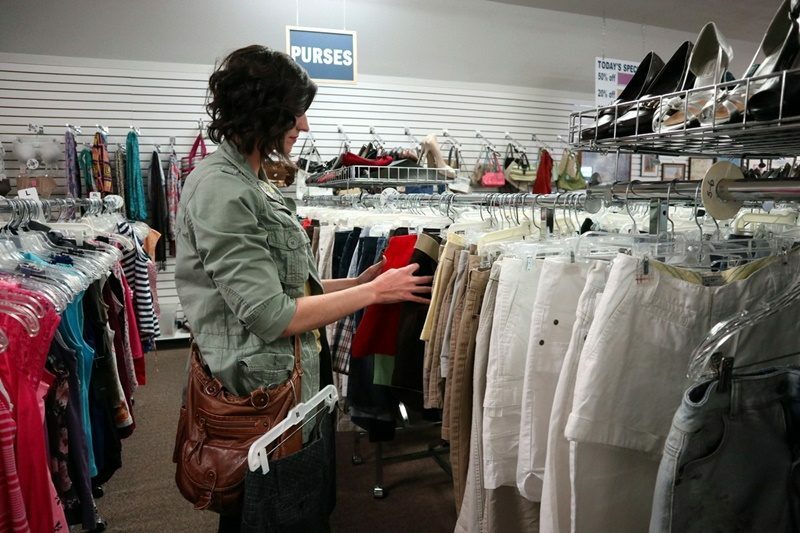 Ideal for thrifters looking for..: Inexpensive clothing and household needs. Pros: Very inexpensive! Profits go directly to a good cause. Has 3 large rooms, all clean and organized. Clothing is priced individually. Frequently runs sales. 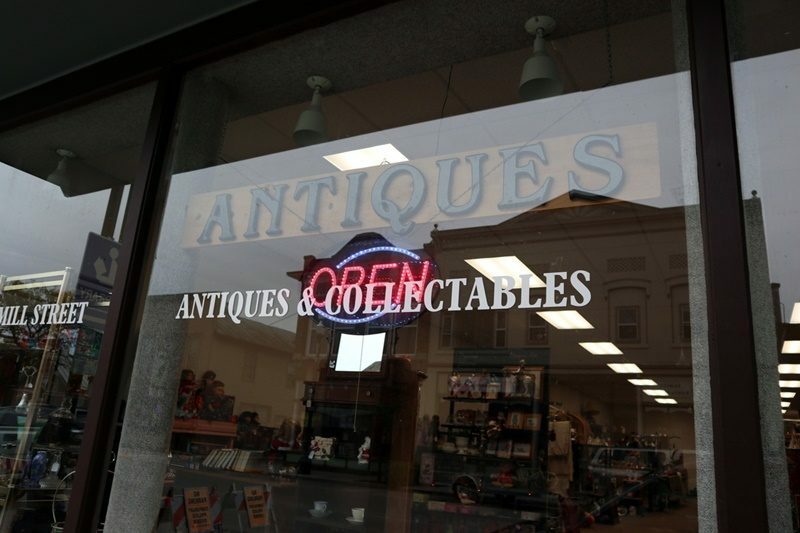 Has a well curated selection of affordable antiques. Very friendly staff! 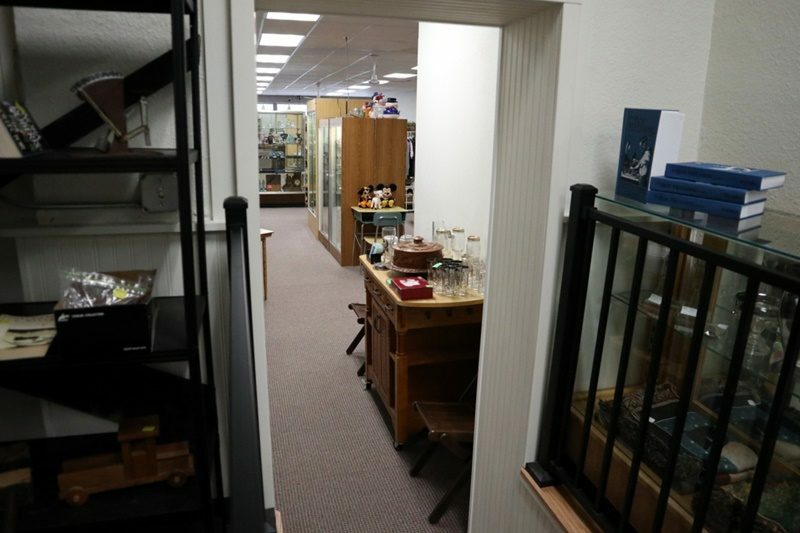 Cons: Some people might be turned off when they walk in and see displays of antiques and glassware but keep digging because there really are treasures for everyone! What I bought recently: Jewelry that was BOGO and a 1988 Woman’s World magazine for .50 cents. My best score ever: I’ve bought many amazing things but one cool thing to note is they used to have a vintage bike hanging from the ceiling with a talking Pee-Wee Herman doll on top! 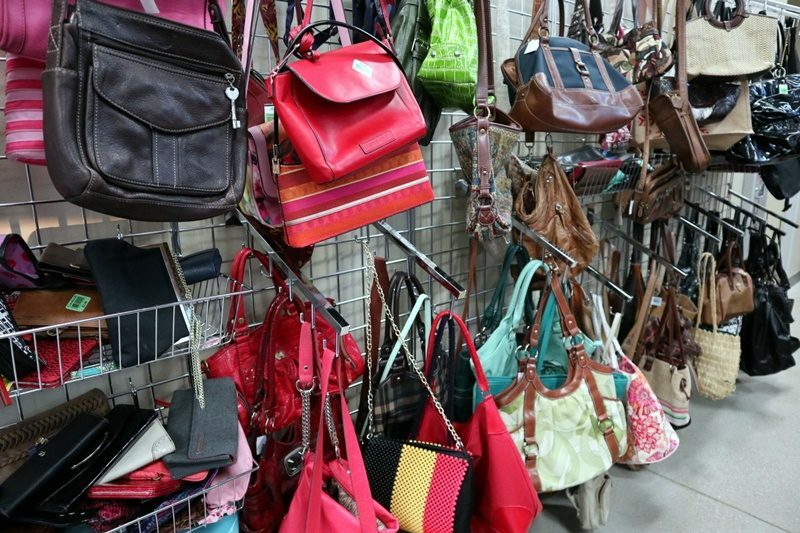 Ideal for thrifters looking for..: A clean and organized secondhand shopping experience without breaking the bank. Pros: Participates in daily color tag specials. Has a loyalty program. Prices are mid-range. Has a large selection of items to choose from. 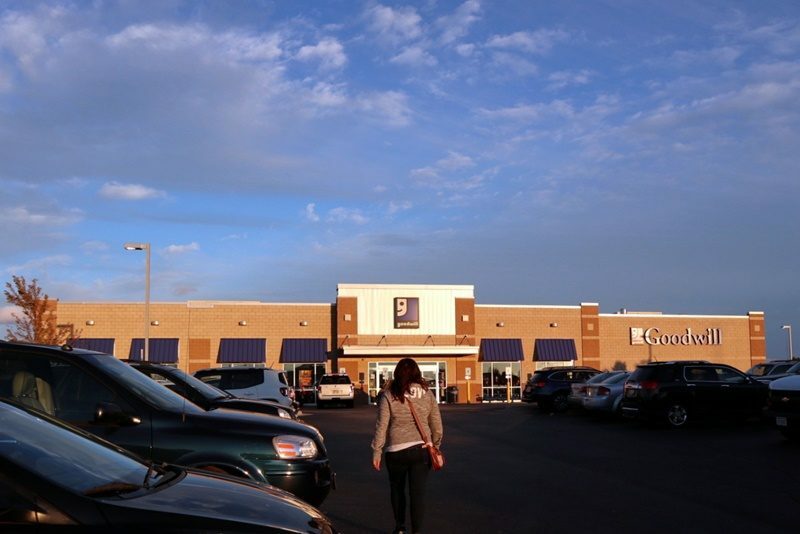 Cons: This location usually has a high volume of shoppers which can make it difficult to browse. My best score ever: I can’t remember and that might be because I never find much for myself here. Ideal for thrifters looking for..: Everything! They have it all. 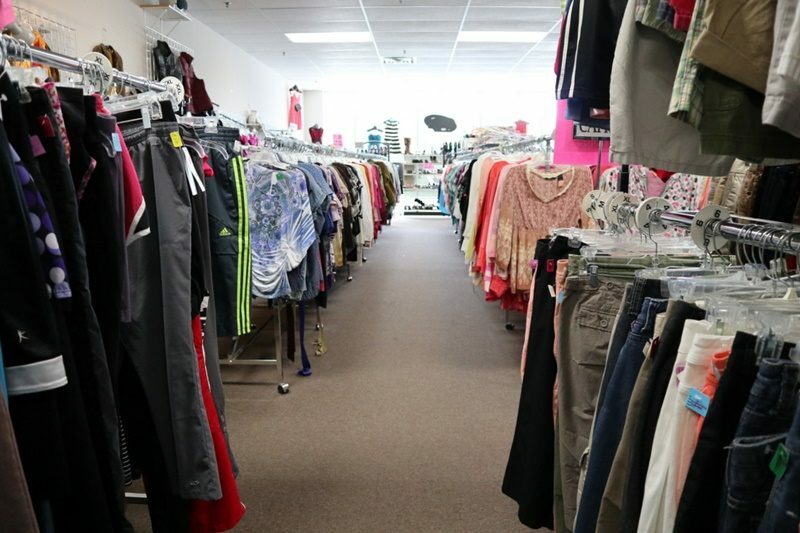 Pros: This is my holy grail thrift store for inexpensive clothes! 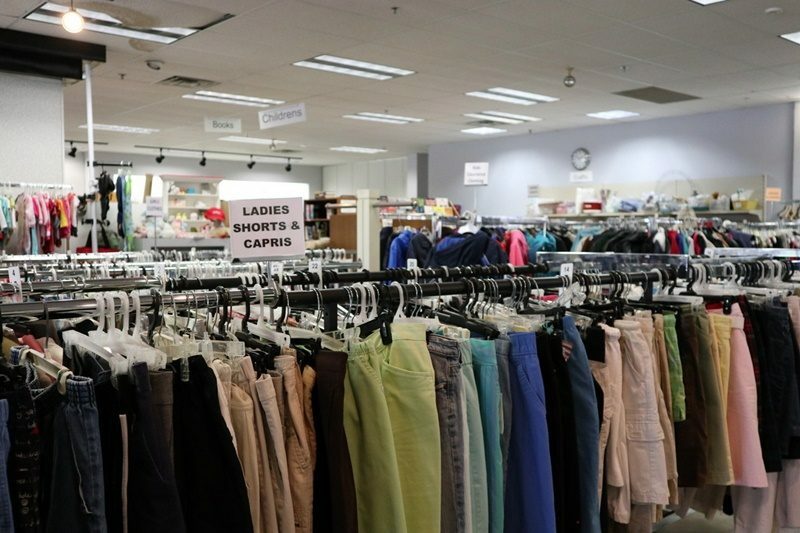 They have clearance racks, colored tag specials everyday, and other unique weekly sales. The prices on everything are rock bottom! 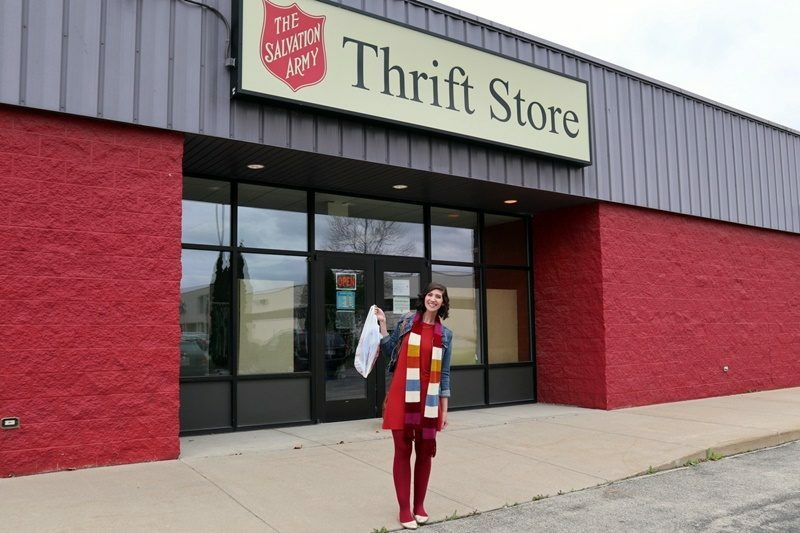 My best score ever: I’ll never forget my first visit in 2010 when I bought a vintage trench coat for .49 cents. It’s also where I found a rare NKOTB board game for less than $2! 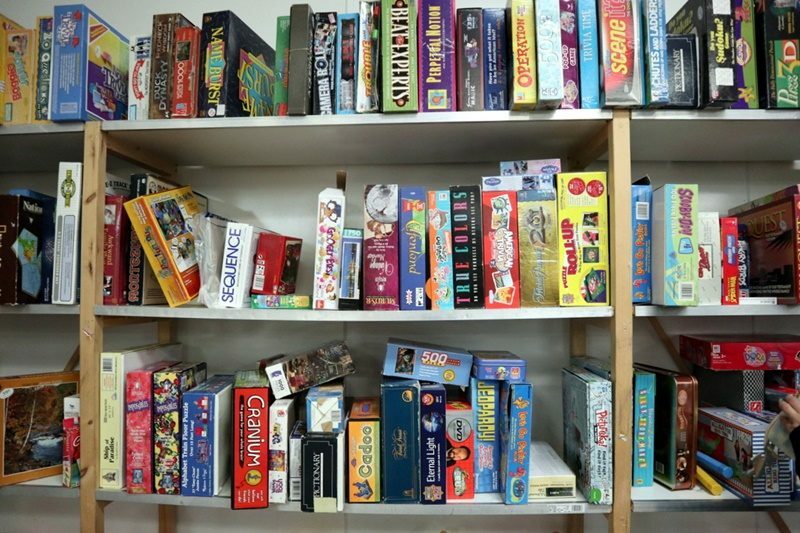 Ideal for thrifters looking for..: They have an awesome selection of furniture, houseware, puzzles, and board games. But their racks of clearance clothing for .49 cents and a $1 really can’t be beat. Pros: They pack a lot of stuff into this small space. The prices are fair but some things can get a little high. Often runs weekly specials. Was willing to haggle with me which is always appreciated! Cons: Has set prices for each clothing category which, as I mentioned, I personally don’t like. Location is a little tricky to get to but worth it! What I bought recently: ’90s era TV Guides with X-Files on the cover for .50 cents each, and a 1980s mini sunglasses pin for half off $1.25. My best score ever: A vintage Fraggle Rock lunch box for $10. 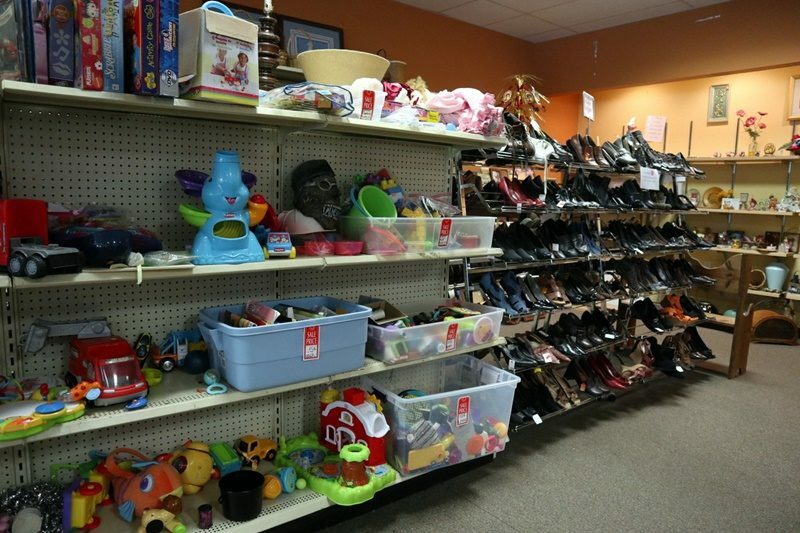 Ideal for thrifters looking for..: Clothes, household, and pet items! 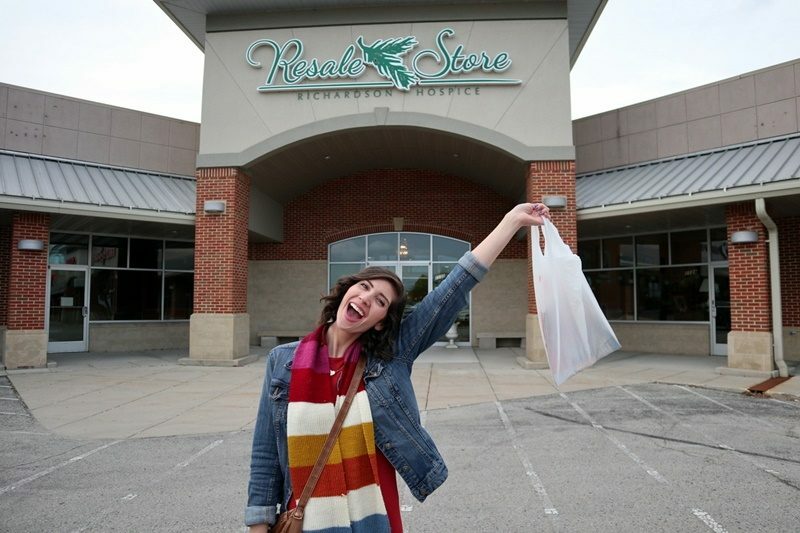 Pros: I love everything about this store and have been a loyal shopper since they first opened! They hold seasonal $5 clothing sales. Run weekly specials. 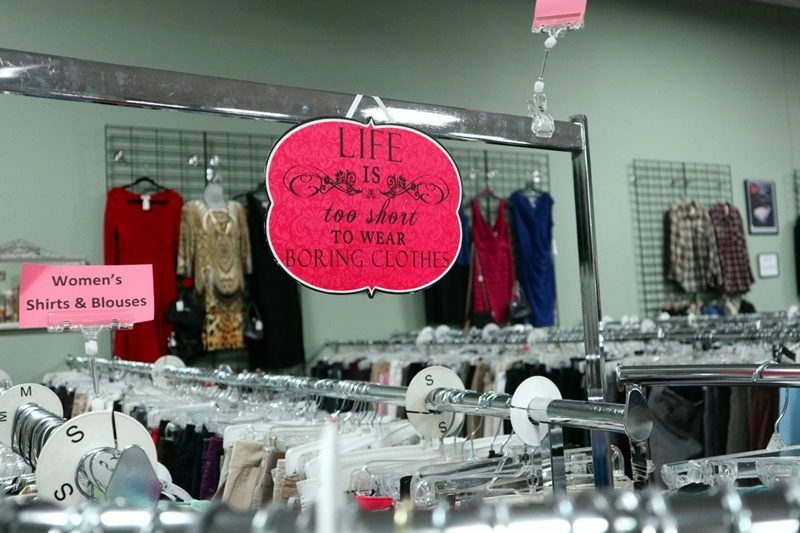 Clothes are individually priced. 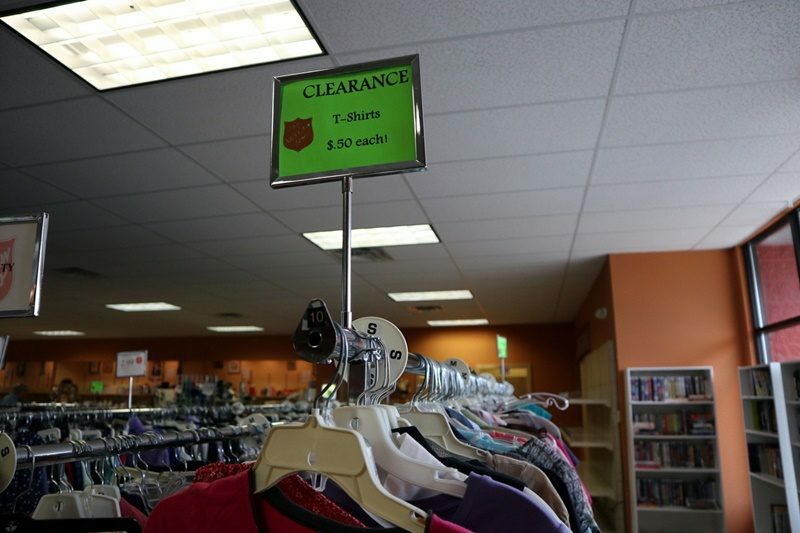 Has clearance/markdown racks of clothing. Incredibly inexpensive! Is in a huge space and just keeps expanding. They also have some of the friendliest staff who always step up to help out. Cons: That I don’t get to go everyday. What I bought recently: New fall clothes! My best score ever: So much! My most memorable was a black crushed velvet ’80s prom dress that I squished into my tote for one of their $5 bag sales. It always gets me compliments so well worth it! 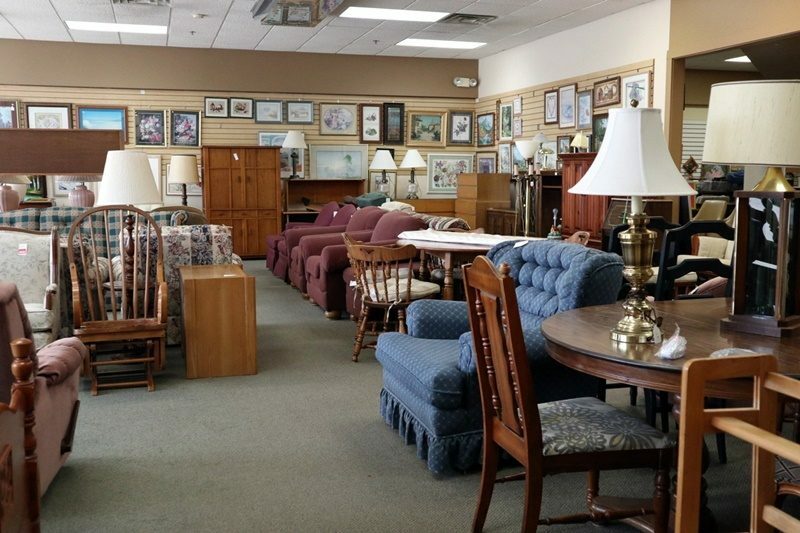 Ideal for thrifters looking for..: Their furniture selection is tops! Though I, myself, really dig the clothing section. 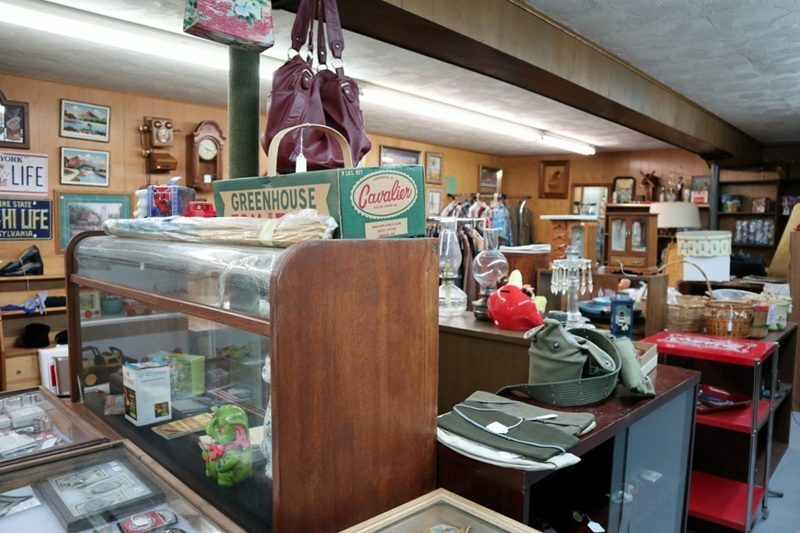 Pros: Unique selection of items because it’s an antique mall with multiple dealers. Recently remodeled (August 2018) after fire damage so the building is clean. 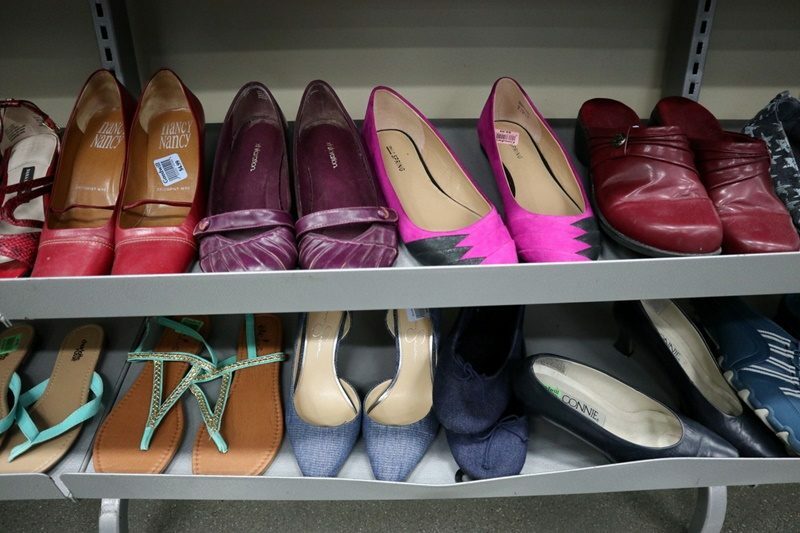 Cons: Prices vary greatly as they’re set by individual sellers. Stock doesn’t really change very often either. My best score ever: A vintage George Michael pin for $2! 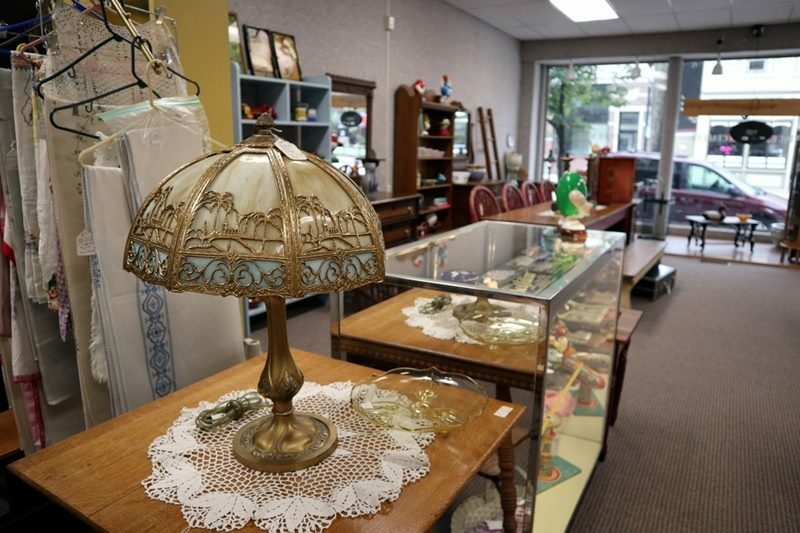 Ideal for thrifters looking for..: Something to complete their collection or decorate a home with vintage knick-knacks. Pros: This store is huge, well stocked, and very well laid out. Occasionally has weekly sales, especially on VHS tapes. Profits support the local high school, which I appreciate. Participates in a loyalty program. 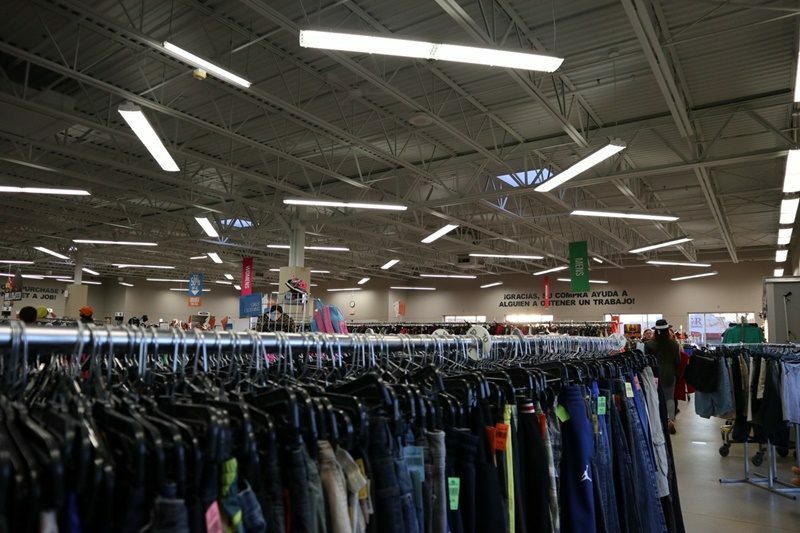 Cons: Some items are pretty pricey for a thrift store. Does not run colored tag specials. Normally has a young staff that’s rather unenthused about working there. Clothing is not organized by color which is a headache to look through. You really have to be committed to find the good stuff! What I bought recently: A bathing suit top for $3. My best score ever: A pair of like new silver Converse sneakers for $8. 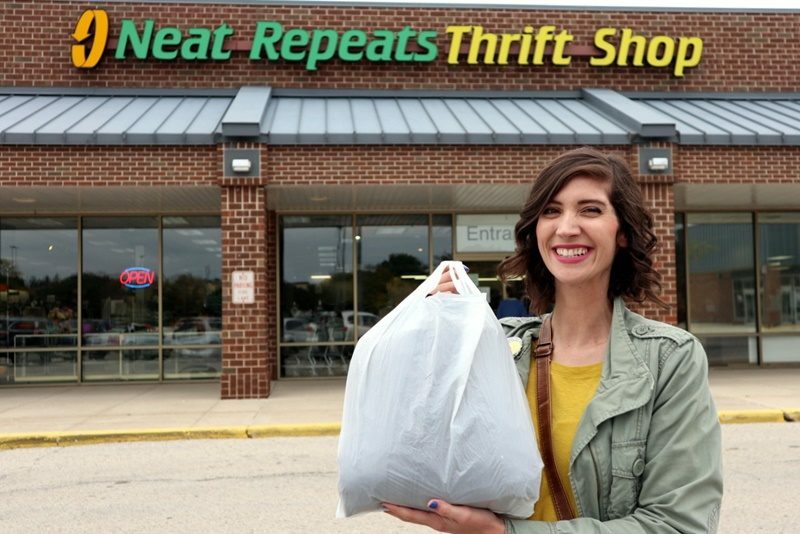 Ideal for thrifters looking for..: Movies, books, and clothing! 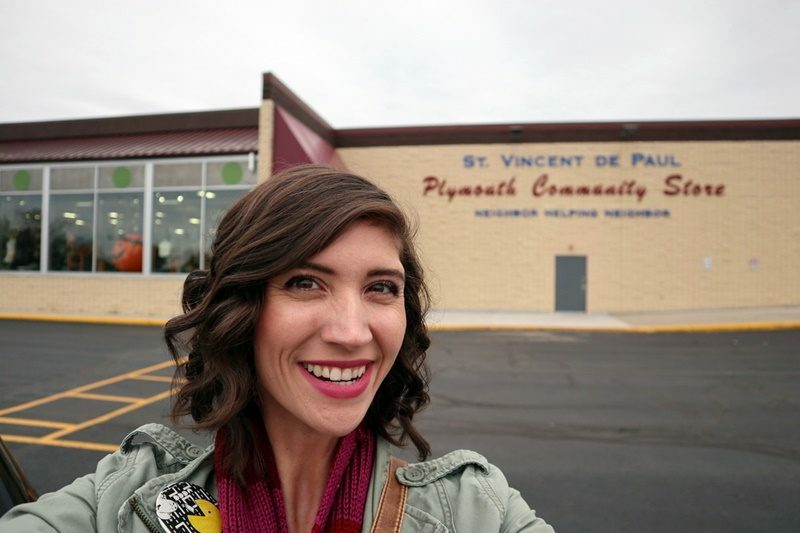 I hope this sheds some light on the mystery of where I thrift and inspires you to check out the locations I recommended. Let me know if this is something you’d like to see more of in the future and I will definitely make it a regular thing! 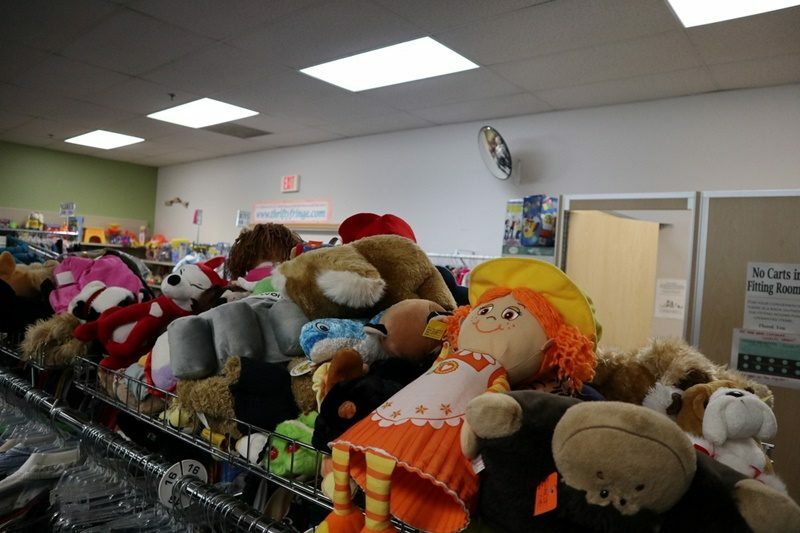 NEWSLETTER FOR THRIFTY TIPS, SNEAK PEEKS, AND MORE!